Installing MMDVM on an STM32F4 NUCLEO board and assembling an interface shield. In this series of posts we take a look at building a Digital Mobile Radio (DMR) repeater for amateur radio use on the 70cm band (UHF). This will be constructed using two surplus mobile analogue (FM) transceivers for uplink and downlink, paired with an open source MMDVM-based system for the digital modem, repeater control and IP network interconnect. The repeater will be put to use by a local amateur radio group that frequently provide communications support to community events such as fell races, along with any radio ham visitors to the area and, of course, those remote and connected to the IP-linked digital radio network. Logo of the DMR Association. Tier I. Licence-free use in Europe on the 446MHz band. Non-infrastructure and without repeater use. Tier II. 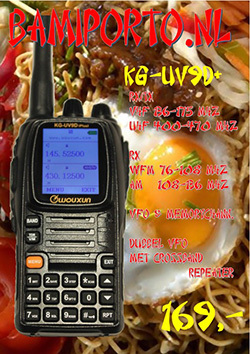 Licensed use in PMR bands from 66-960MHz. Support for higher spectral efficiency, advanced voice features and IP data services. Tier III. Trunking operation in bands from 66-960MHz, with support for voice and short messaging similar to TETRA. The digital standard is also suited to and actively used in, the 2M and 70cm amateur radio bands, which in the UK are licensed for 144-146MHz and 430-440MHz use respectively. DMR can support two voice channels within a standard 12.5kHz channel spacing, via TDMA with two time slots. 4-state FSK modulation is used at a rate of 4,800 samples per second, which corresponds to 9,600 bits/s. So it is a fairly efficient system, without being overly complex. 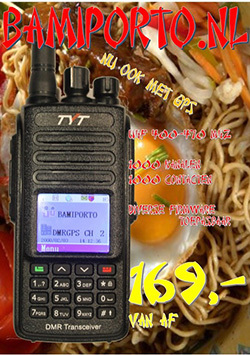 Many different vendors offer DMR radio equipment. 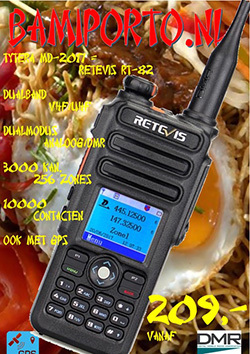 However, for our repeater we will be using two surplus analogue PMR radios, together with Multi-Mode Digital Voice Modem (MMDVM). MMDVM is an open source software project licensed under GPL v2, but with a note to say that it is intended for amateur and educational use only, with commercial use strictly forbidden. This does seem possibly at odds with the GPL licence, but is likely to do with digital codec patents. With build supported via the Arduino IDE, Coocox IDE with ARM GCC, and Teensyduino. It should also be possible to build MMDVM for other STM32 boards and to port it to other real-time ARM platforms, provided they have suitable performance, plus at least one ADC and DAC. 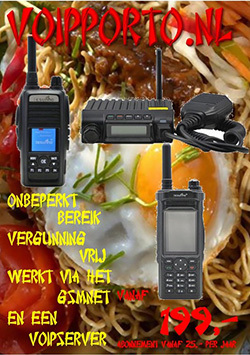 In addition to repeater use, MMDVM can also be used to create a “hotspot” that connects to a digital network over IP link and facilitates use of a handheld radio on the move. Hats off to its creator, Jonathan Naylor (G4KLX), for creating a very cool piece of software. We opted to build our system around the SMT32F446RET NUCLEO development board (906-4624), since this offers excellent price/performance and thanks to French radio amateur, F5UII, there is a neat add-on shield which provides interfacing for two radios and an LCD touch screen. The shield provides op amps which are situated between the radio RX and microcontroller ADC, and radio TX and the microcontroller DAC. There is also a TCXO for frequency stability, some basic buffering and level conversion, plus indicators for the mode in use and PTT active etc. The shield was supplied as a kit of through-hole parts and took very little time to assemble. The instructions provided by F5UII walk through the few steps required to install a toolchain on Windows. However, since we were using Ubuntu it was even more straightforward. We should have confirmation that 1 stlink programmer has been found. In the next post we’ll get the corresponding host software, MMDVMHost, up and running on a Raspberry Pi that is cabled to the NUCLEO board. This is where most of the configuration will take place and the software will facilitate connection to a DMR network. On the other side, we’ll connect the shield to two UHF transceivers and following which will conduct some initial testing.